Please complete the form below and your enquiry will be sent directly to Vroue Lente Oggend via email. Your enquiry has been sent to Vroue Lente Oggend. A morning with 3 great speakers. Sharing tips on how to "spring clean" yourself for a healthy new you. Tickets cost R120 per person. 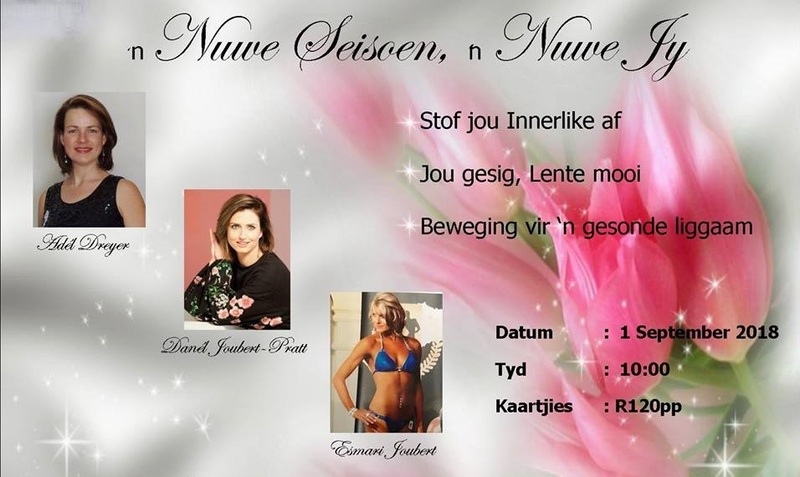 See contact details below to Whatsapp, email or call Adel Dreyer to book your seat now!